BuyDig's got the 29-inch 2560-by-1080 LG 29UM59A-P for $184 with the coupon code SYNC at checkout. The E3 Gaming Expo is upon us, and if you're gearing up to play new games like Metro Exodus, Fallout 76, and (possibly) Halo Infinite then what better way to get ready than with a new monitor? 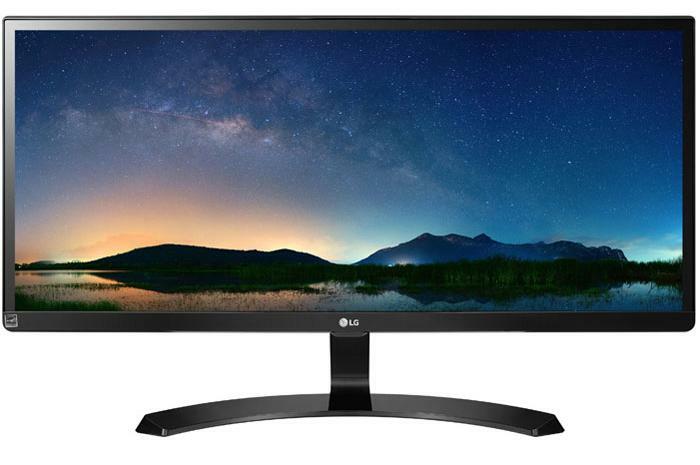 Right now, BuyDig is offering an LG 29-inch UltraWide 2560-by-1080 display for $184 with the checkout code SYNC. While BuyDig's page says this monitor (LG 29UM59A-P) doesn't feature FreeSync— AMD's variable refresh rate technology—LG's own product page and spec sheet (PDF) confirms that it does. This is likely an oversight on BuyDig's part, as the site also mistakenly says this monitor has "2580-by-1080" resolution instead of its actual resolution of 2560 x 1080. It does get the 21:9 aspect ratio correct, however. FreeSync discrepancies aside, the monitor also has some pretty good gaming specs, including a 5 millisecond response time and a 75Hz refresh rate. On the back it's got HDMI 1.4 and a USB Type-C port. When you need to multitask, the monitor features a screen split feature with four different modes: picture-in-picture, two screens, three screens, and four screens. There's also a reader mode that reduces blue light to keep eye fatigue at bay, and LG also added a dedicated game mode that includes motion blur reduction and a black stabilizer. And one more thing: If you live near a Gamestop, you might be able to test out this monitor with the popular Battlefield IV. The gaming retailer is selling physical copies for just 12 cents, but act fast, because stocks appear to be severely constrained.